Rep. David Cicilline was elected to represent Rhode Island’s 1st Congressional District in 2010, following the retirement of Rep. Patrick Kennedy. Prior to serving in Congress, Cicilline served as Mayor of Providence for eight years and introduced a number of progressive reforms, including a widely heralded after-school program and city ethics code. 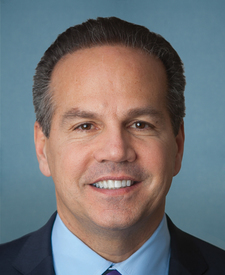 A former civil rights attorney who is one of the few openly gay members of Congress, Cicilline has fought tirelessly for economic justice and equal rights for all since arriving in Washington.He serves on the House Foreign Affairs and House Judiciary Committees, in addition to serving as Chair of the Democratic Policy and Communications Committee.